During my first month of blogging, somebody told me that he thinks I have an undiscovered talent in writing, and he believes that I have a potential to be a good writer. Because he believed in me, I believe in myself and in what I can do. It has been a year since I began my blog. It was my intention to inspire others by writing positive, motivational, and uplifting posts; but my whole blogging experience became more than that- it has been a great learning experience for me and a wonderful journey. I was inspired by many of you, and I am very grateful for all the things that I have learned. My sincerest thanks to all my readers and subscribers for liking, commenting and subscribing to my blog. Thank you for sharing your insights and friendships with me. THANK YOU for being a part of TheHappyLife101! I hope to have another great year with you. Thank you Tanvi for sharing with us your beautiful conversation with your maid. It is truly a good reminder to be kind to people in all walks of life. POOJA AUNTY! She is our maid. She comes twice a day, ring the bell (regardless of whether the door is closed or open), takes off her shoes and enter the house addressing my mum, “Didi hum aa gaye!” (regardless of whether my mom is listening to her or not), does her work, finishes the small glass of tea and two biscuits/rusks served to her, and then leave the house addressing my mum again,” Didi hum jaa rahe hain!” (Regardless of whether my mum is listening or not). I tried to assure her saying that “It’s been years that you’ve been working for us and we trust you. You have seen us grow. Your fear cannot happen in our house.” She nodded her head in agreement and shared one of her many bitter life experiences. A week ago her small grandson was seriously ill, and was admitted to a hospital. But the doctor refused to continue with his treatment until they could fully pay the hospital fee (Rs.1000). She didn’t have enough money and so she sent her young daughter to one family that she has served for 16 years and trusted the most. The girl knocked and waited for someone to open the door for 2 hours, however, no one is opening and she only heard the people whispering from inside. So she left hopeless and with heavy heart. They were forced to leave the hospital with the patient as they were not able to arrange the fee. The next day, when Aunty went to the same house asking for an answer, they lied and blamed her daughter saying that she didn’t go there and that she must have gone somewhere else. Aunty was highly disappointed with their excuse. It was a matter of rs.1000 only. She was also asked to leave her work and get lost! Her 16 years of dedication, hard work, honesty, and prestige was all gone for Rs.1000. Thankfully, his grandson was able to recover and she got a helping hand from someone else. But she learned a lesson for her life, she stated. We very often become ignorant towards the people who serve as our backbone. They work to make our life easy, but we sometimes take them for granted. We just forget that they are human too, with beating heart and working brain, and also get hurt with our inhuman behavior. We don’t bother to share their sorrow, their pain, believing they don’t have these emotions. Why? Because we are paying them? But they are paying us back with their hard work and dedication to make our life smooth and easy, despite the challenges that they face every day. Sometimes it is very easy to make someone feel happy about their life, by just simple human gestures or little acts of kindness (which often do not cost us anything). Sadly, I have noticed is very hard to practice these days. Show concern, affection, and respect towards the people who are working day-night for you. It will fuel them to do their duty with more energy, love, and dignity which is their equal right. Did you miss the previous stories? Read them here. Inspire someone today by sharing your happy story! Here’s how to submit. A Happy Story #7- A Baby Coming Soon! We received a happy news from one of our fellow blogger. My happiness story is more good news, than a story! I recently found out I’m going to be a grandmother and I’m totally happy! At first I was a little sad, because I felt my son was too young. With that being said, all I can think about is getting ready for our new addition!!! My heart is melting already. Inspire someone by sharing your happy story! Here’s how to submit. I love Sundays. It is our family day. My hubby was driving and I was at the backseat with my daughter. When it’s only the 3 of us, I like staying at the backseat with my little girl so that I could touch her and look at her when we chat. Like always, she talks a lot. She talks about the things that she sees around, she talks about the billboards that she sees along the way, and whatever things that cross her mind. That moment is one of the happiest moments in my life- knowing that my daughter appreciates how I show my love and care for her. I still get a little emotional sometimes whenever I remember that incident. 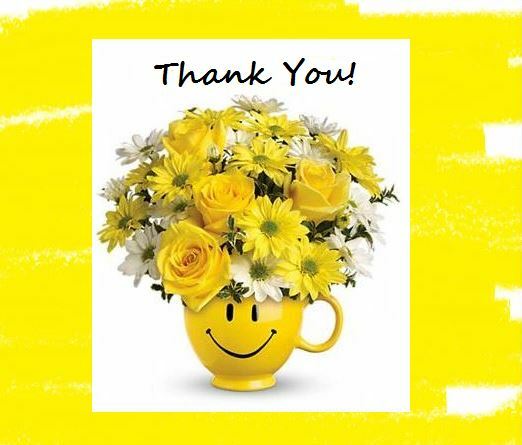 How many of us take the time to say “Thank You” for the love and care that we get from family, friends, or colleagues? Sometimes, it is easy to forget- especially if it is “expected” of them or when “we’re used to” being treated as such. I hope to share your story next time. See below how. Have a great weekend everyone! Remember to bond with people today, and not with technology! Did you miss the previous stories? Check them here. Inspire someone by sharing your happy story! Here’s how to submit. I am delighted to share with you today a happy story from one of my favorite bloggers, Jennie. I hope that you will enjoy her story as much as I did! 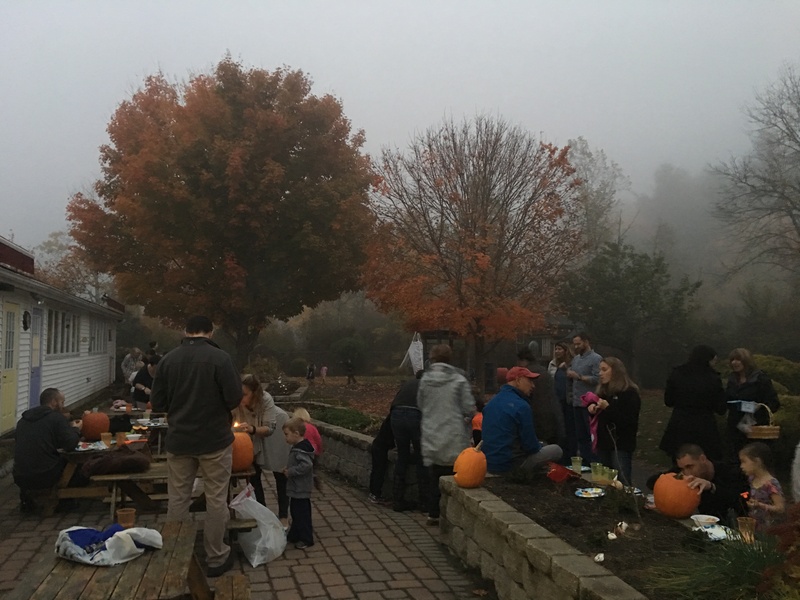 Each year I host a party for children and their families, and every year it creates magic– not the storybook or pretend magic, but something very real. Families gather with their children when school closes and have a pizza party on the playground. That event alone is incredibly exciting for young children. This year the weather was warm for New England, approaching 70 degrees. It was also foggy. Perfect for what was about to happen! 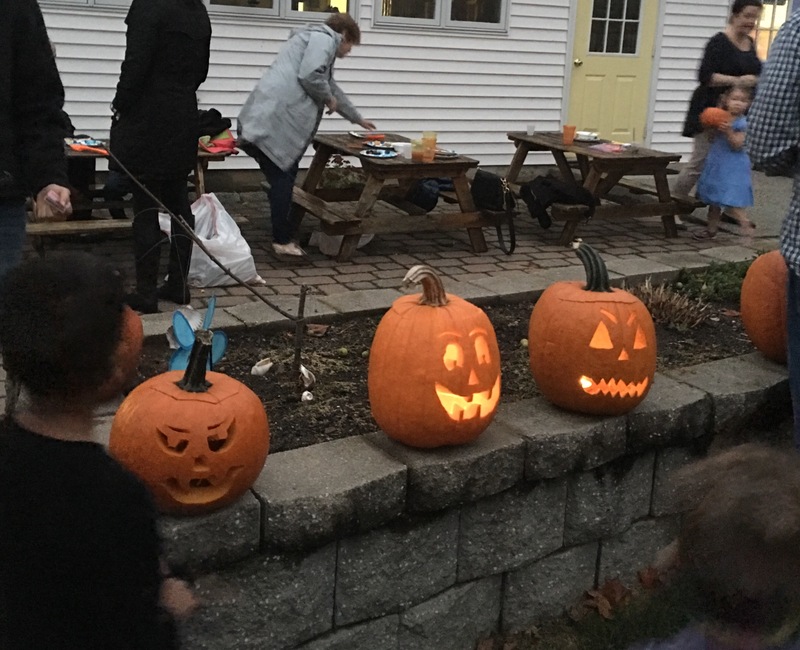 We carved pumpkins into Jack-O-Lanterns. That took quite a while; plenty of time for families to get to know each other, and plenty of time for each child and family to spend time together, doing something really fun. Yet, it was far more than fun. Tonight was a magical evening. Pizza dinner at school is pretty cool; yet carving a pumpkin with your family is a memory builder. We so enjoyed all the activity and excitement with each family. As the sun was setting, arranging all the jack-o-lanterns on the stone wall was filled with anticipation. 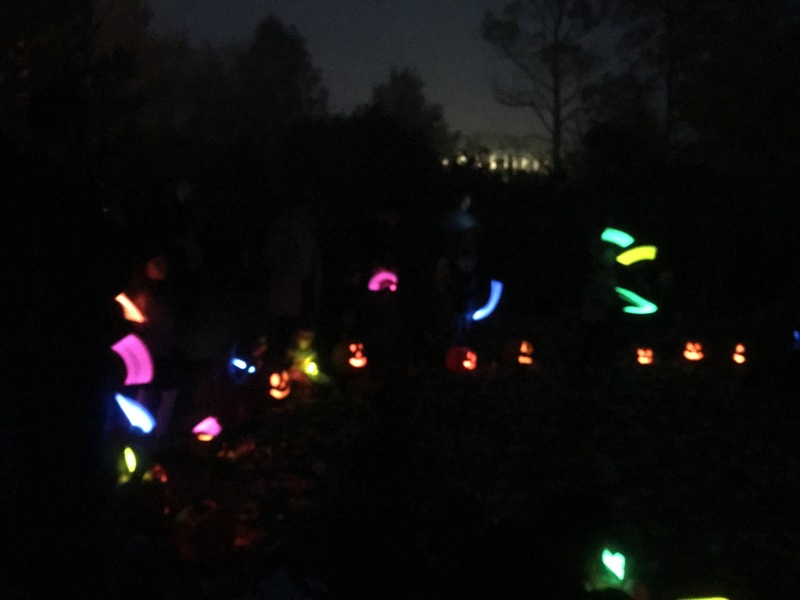 Sitting together in a circle with our jack-o-lanterns and singing songs, as it became dark, was… perfect. Truly, it was a moment in time, the kind that leaves you with a feeling deep in your chest, yet you cannot find words to explain it. You just know that it is special. Often it is the little moments that are the most important and the best of all. Thank you for being there. We gathered all together in a big circle. 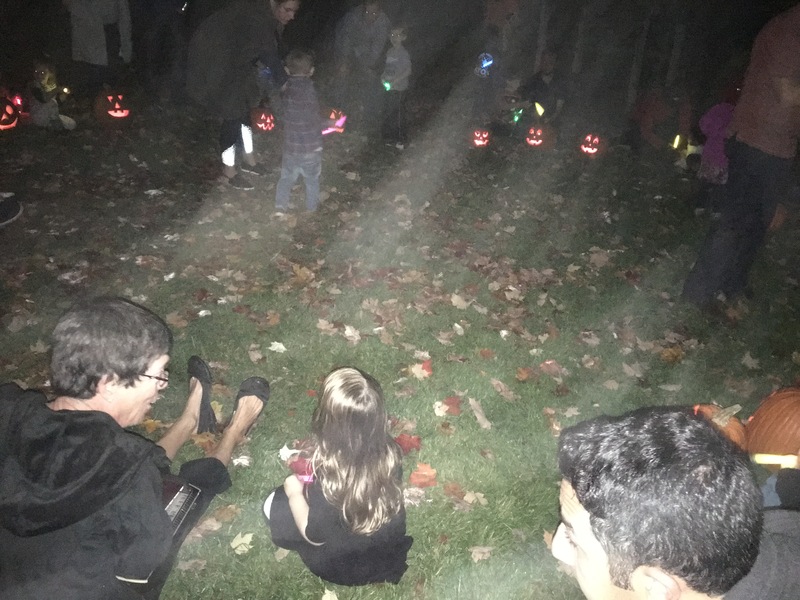 Jack-O-Lanterns were lit. Children were snuggled with their families. We sang the Jack-O-Lantern song, twice. The excitement of the singing the song in the dark was magical, indeed. Yes, it was a moment that leaves you with a feeling deep in your chest, one that is difficult to explain, yet you know is special. It is magic! You don’t stop having fun when you get old. When is the last time that you did something that you really enjoyed…something that made you lose track of the time? I believe that doing something fun is one of the easiest way to show some love for your self. Be it as simple as reading your favorite book or arduous like learning a new skill that you like. Have fun when you can. Your soul will thank you for it!